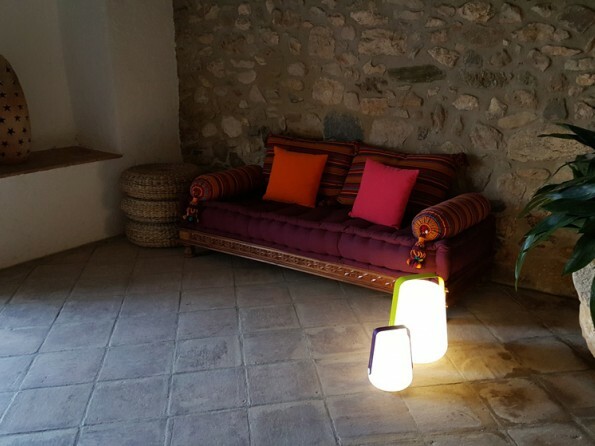 This beautiful private residence, listed on Spain`s register of historic monuments, is over 1000 years old and offers luxurious accommodation and panoramic views in a delightful countryside setting, and the hosts have one goal: to make your stay as unforgettable, relaxing and delicious as possible. 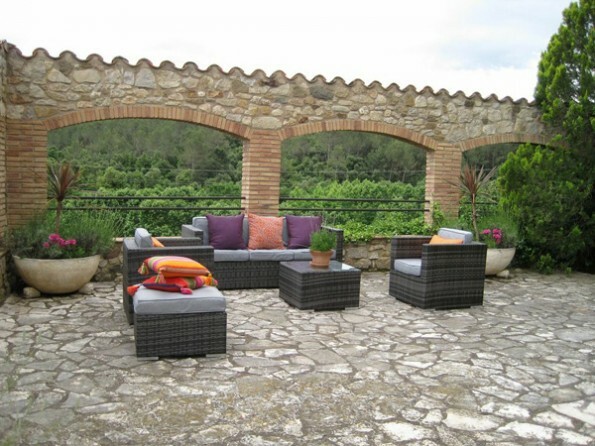 Castell de Celra is located just outside a small, quiet village in Spain`s north-eastern region of Catalunya, midway between Barcelona and the French border, and 30 minutes from the Mediterranean`s magnificent Costa Brava. 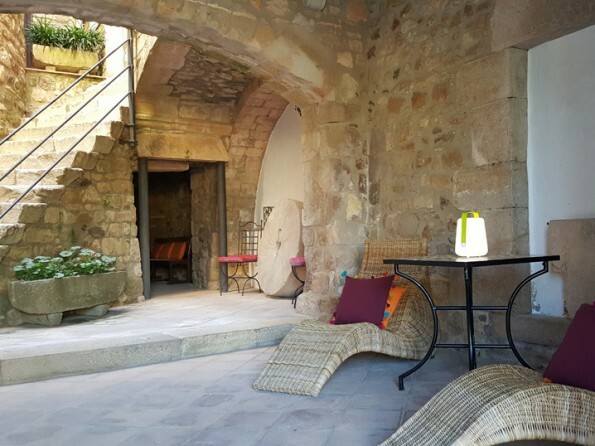 Once the home of the Bishop of Barcelona, it has now been lovingly restored and offers the unique experience of a holiday in a castle with a gourmet cook and host but none of the formality. The moment you arrive, greeted by the scent of lavender and sunlight reflecting off the terrace, you will feel calm and at ease, welcomed by the energy of this ancient home. Relax by the pool, eat tapas and drink wine on the terrace and then take a nap in the hammock suspended between the pine trees. 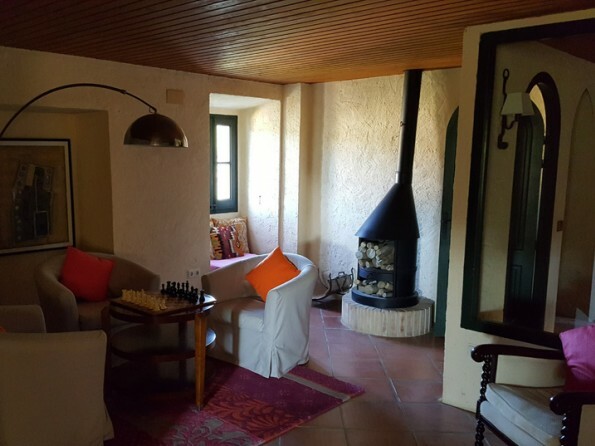 The setting, on the border of the Cavarres Nature Preserve, is rural and peaceful and yet just a short distance from all the cultural, historic and scenic delights of the region - perfect for a holiday in a castle. 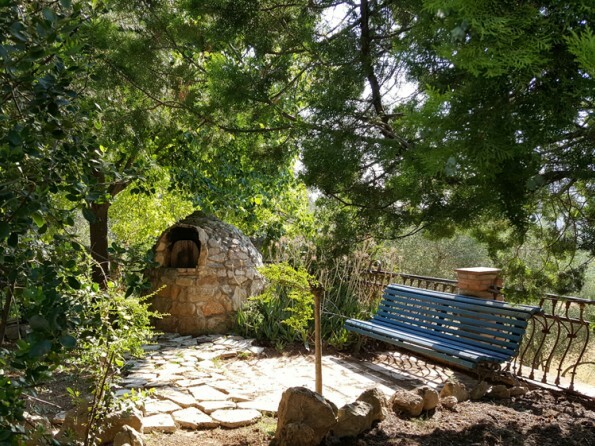 The small village of Celra is a 5 minute walk away, and there are other picturesque villages throughout the region, with chocolate-box churches and open-air markets stuffed with local produce. 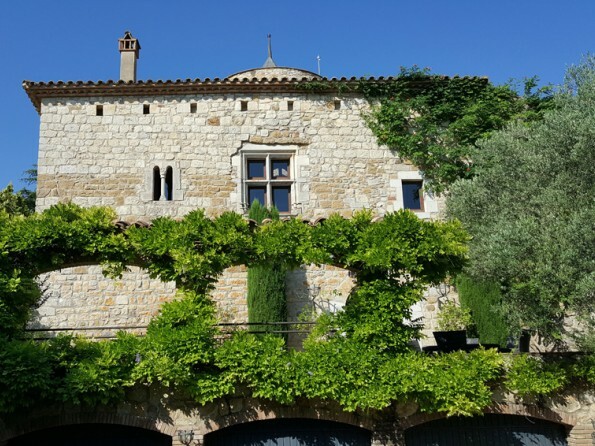 The charming medieval city of Girona, with its elegant boutiques and Michelin-starred restaurants, is just 10 minutes away by car, La Bisbal`s ceramic centre is 15 minutes, and the world-famous Salvador Dali home and museum is 30 minutes away. Alternatively, the golden beaches and secluded coves of the Mediterranean are also 30 minutes away, or you could play a round of golf or explore the countryside by bike. You can go kayaking, snorkelling and sailing off the coast, or you could go hiking and horse riding inland. For more information on the area, please see the website. We recommend you rent a car for your convenience during your stay in Catalunya. 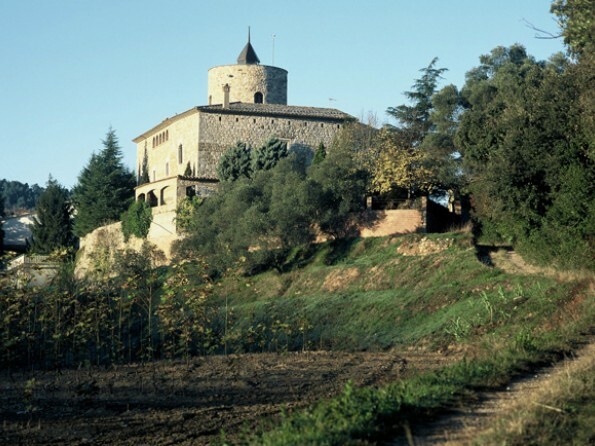 Castell de Celra is 70 miles northeast of Barcelona. You can fly directly to Girona on airlines that service smaller airports such as Ryanair. 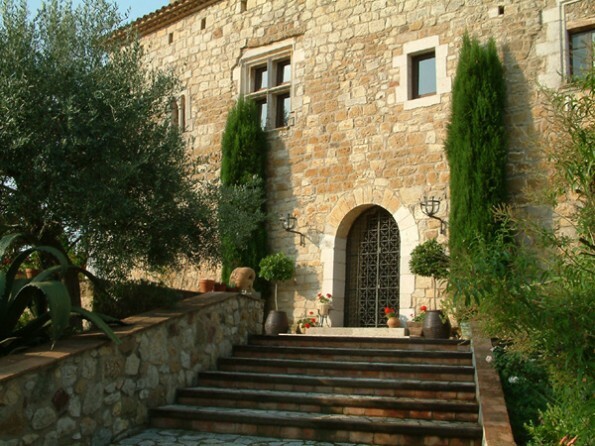 The castle is 20 minutes from the Girona airport. Detailed driving directions are provided upon confirmed booking. Private transportation can also be arranged for your group at an additional cost. The castle sleeps 14 in 7 individually decorated bedrooms, with en-suite bathrooms. 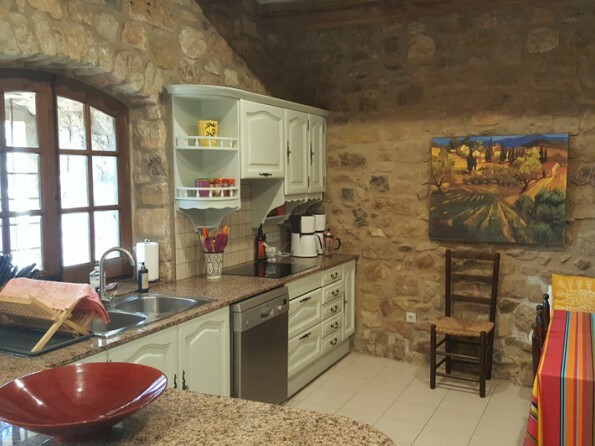 On the ground floor there is a well-equipped kitchen, and double doors lead from here into the barrel vaulted dining room which sits 20 and adjoins the wine cellar. There is also an art gallery on this floor and a half bath. 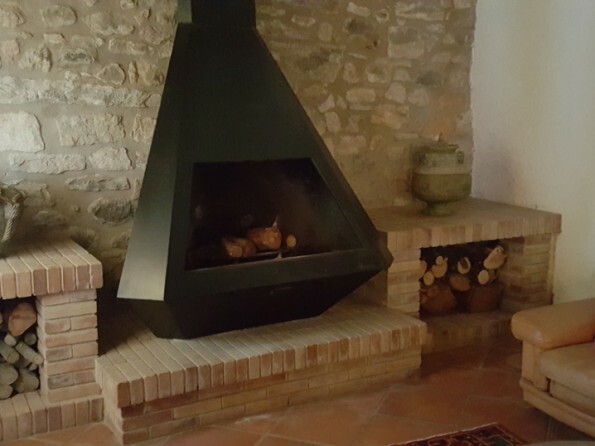 The second floor has an additional kitchen and two sizeable dining areas, and this is where the main living room is, with a large fireplace, comfortable leather furniture and 14th century `courting seats`. There is a smaller sitting area with board games, cards and chess. 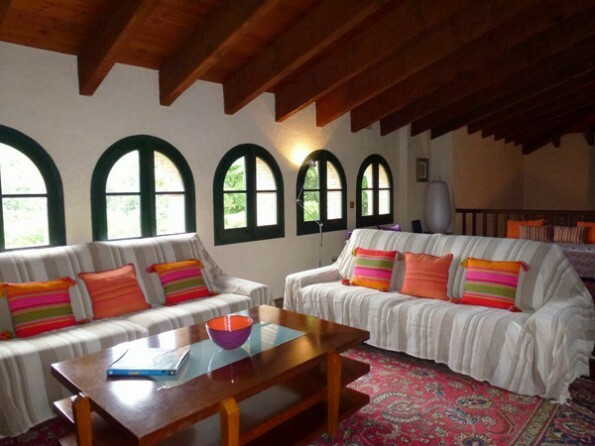 The third floor`s relaxed living space has beautiful views over the nature preserve and has wifi throughout, HD TV, a DVD player and a CD player and from here you can access the centre of the medieval tower where a winding stone staircase leads to the Tower Library, the perfect place to lose yourself in a book. 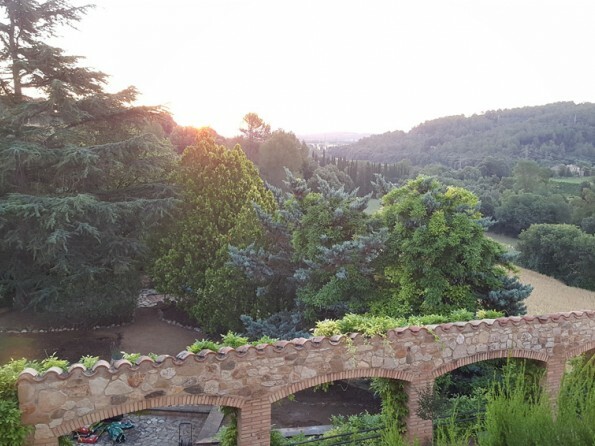 To take full advantage of the wonderful Mediterranean climate, the castle provides an endless array of options for enjoying your time outside. 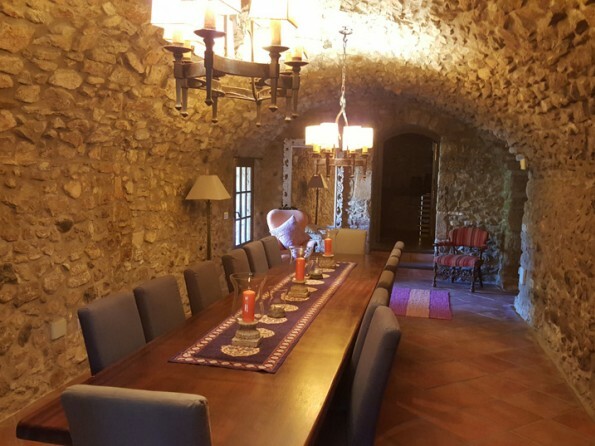 The large, paved front terrace is perfect for al fresco lunches and dinners, while the quiet area on the side of the castle, overlooking the nature preserve, is ideal for breakfast. Alternatively, you could have an informal BBQ by the pool, or you could retreat to the lookout area on top of the castle`s 11th century tower. Enjoy a morning coffee or early evening glass of wine as you watch the sun rise or set over the spectacular sweeping vista. From the lookout a 360 degree view stretches from the Pyrenees Mountains to the Mediterranean coast and the French border - it`s the perfect spot for star-gazing. The private pool has separate changing and shower rooms and the poolside bar has a small fridge. 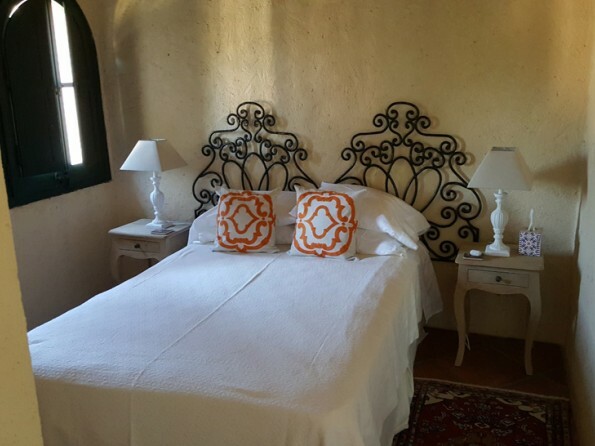 The bedrooms are furnished with high thread count linen and fluffy towels, and the bathrooms with organic toiletries. The castle is not air-conditioned, but there are fans and the 4 foot walls mean that a stay in a castle is naturally cool. WiFi, a fax machine and a telephone are all available. Your English host, Jools, is a gourmet cook, and she is available on request for any type of meal your group desires. All dishes are made with fresh produce and the utmost care and imagination and all the cheeses, fish and meat come from neighbouring markets, fishing villages and farms. Meals are served al fresco on the terrace, poolside, or inside the castle’s 14th century vaulted dining room. The wine cellar is stocked with a selection of boutique wines from local vineyards, and port, sherry and cocktails are also available on request. See the website for some sample menus. Wine tours and tastings are also available on request. Jools is always on hand to answer questions and make recommendations. Minimum stay is one week, Saturday to Saturday. The castle is open from May to September. 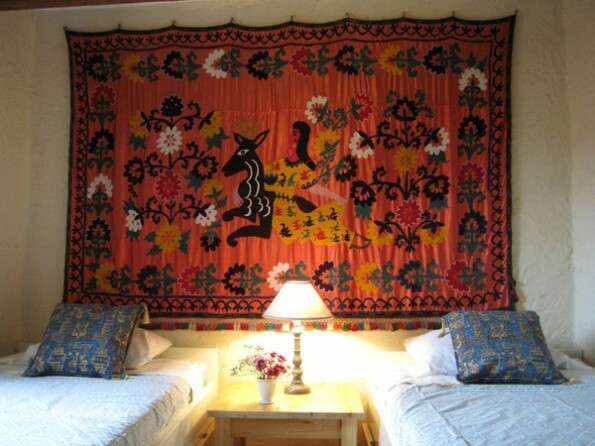 Housekeeping is included for up to 2 hours per day (except Sunday) and laundry service is included for stays longer than a week. Price is for the whole property, on a self catering basis. From 65Eu/person/night (if 14 people stayed for a week).